If you’re a regular reader of Collider, you already know I thought Youth in Revolt was great. I saw it at this year’s Toronto Film Festival and afterwards recorded a video blog with Peter from Slashfilm. I also posted a video interview with Michael Cera and director Miguel Arteta, and Matt recently posted an article on the awesome red band trailer. What I’m trying to say is…it’s a film you should be excited for as Michael Cera finally shows he can play more than Michael Cera. 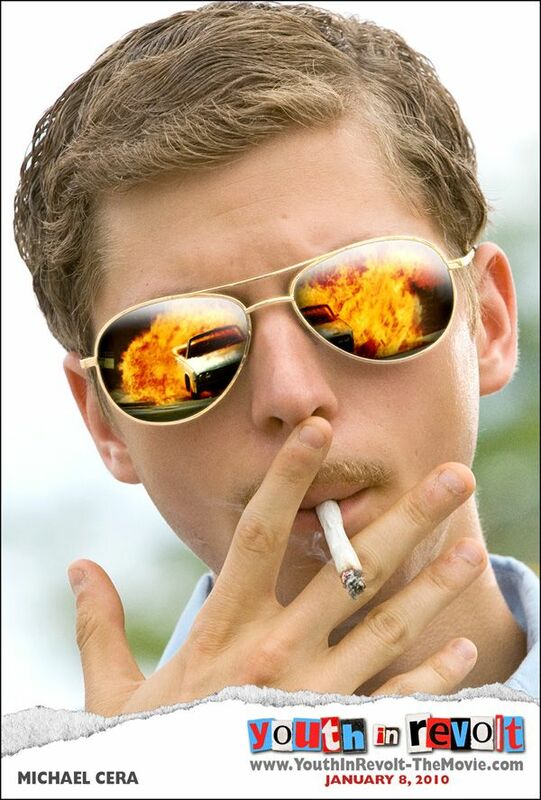 In fact, in Youth in Revolt, we get to see the evil Michael Cera as he creates a “supplementary persona” named Francois Dillinger to do the many bad things needed to win his dream girl. Trust me, you’ve never seen Michael Cera act like this. So to help raise awareness, the Weinstein Company has released a new clip and poster. I strongly suggest watching the red band trailer if you haven’t seen it…but the new clip is also nice. Youth in Revolt hits theaters January 8th.